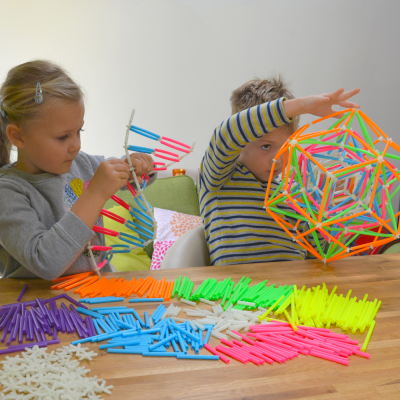 A new kind of educational toy that combines mathematics and geometry with art and aesthetics! 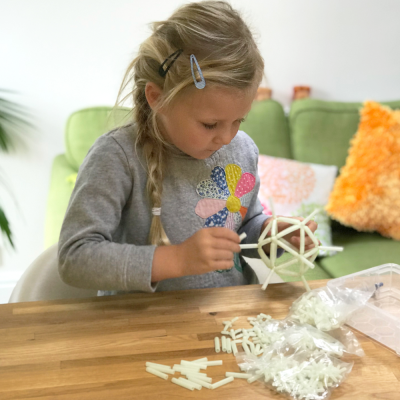 AstroLogix is a simply ingenious construction system, for building complex and beautiful multi-layered stars and frameworks. Users can create mesmerising structures, following the instructions on this website, or using their own imagination. 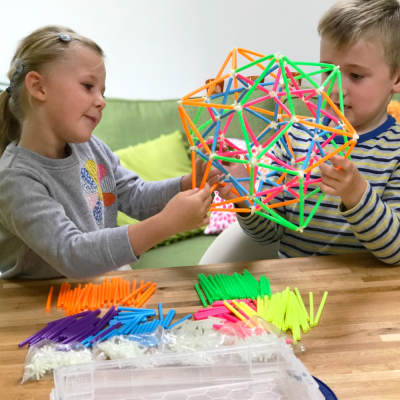 Exploring three dimensional geometry, kids and adults will tap into their creativity and improve upon their spacial awareness, building polyhedra, trusses, bridges, helixes, geodesic domes and spheres, and combinations of polyhedra. 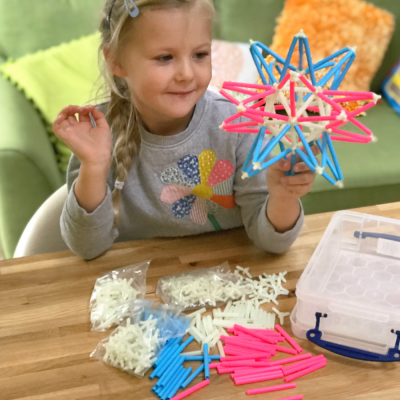 The high quality parts are made with fluorescent and glow in the dark plastic that will make learning about geometry interactive and eye opening for kids, teens, and adults of all ages.